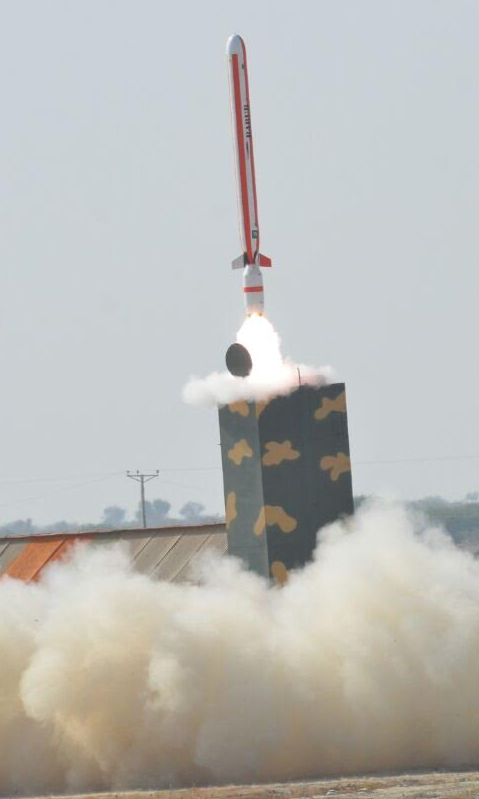 Pakistan’s tactical NASR nuclear-capable mobile rocket launcher now appears to be deployed. 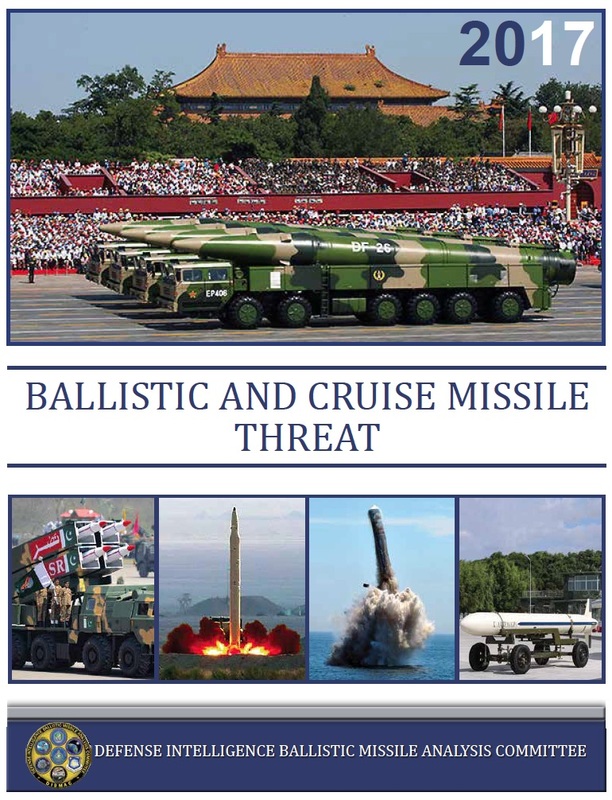 In our latest Nuclear Notebook on Pakistani nuclear forces, Robert Norris and I estimate that Pakistan has produced an estimated stockpile of 130-140 nuclear warheads for delivery by short- and medium-range ballistic missiles, cruise missiles, and fighter-bombers. 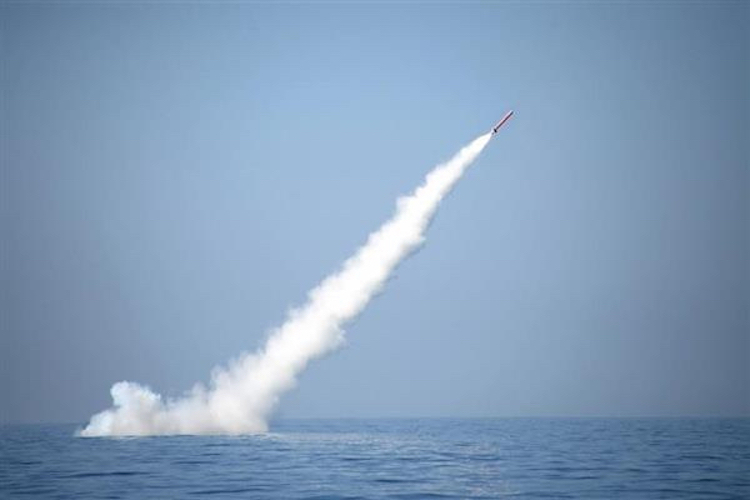 Pakistan now identifies with what is described as a full-spectrum nuclear deterrent posture, which is though to include strategic missiles and fighter-bombers for so-called retaliatory strikes in response to nuclear attacks, and short-range missiles for sub-strategic use in response to conventional attacks. Although there have been many rumors over the years, the location of the nuclear-capable launchers has largely evaded the public eye for much of Pakistan’s 19-year old declared nuclear weapons history. Most public analysis has focused on the nuclear industry (see here for a useful recent study). But over the past several years, commercial satellite pictures have gradually brought into light several facilities that might form part of Pakistan’s evolving nuclear weapons launcher posture. This includes 10 facilities, including 5 missile garrisons (soon possibly 6) as well 2 (possibly 4) air bases with fighter-bombers. Pakistan’s nuclear weapons related infrastructure includes at least 10 major industrial facilities and about 10 bases for nuclear-capable forces. Click map to view full size. The nuclear warheads that would arm the launchers are thought to be stored at other secure facilities that have not yet been identified. In a crisis, these warheads would first have to be brought to the bases and mated with the launchers before they could be used. Security at these and other Pakistani defense facilities is a growing concern and many have been upgraded with additional security perimeters during the past 10 years in response to terrorist attacks. Legal and illegal power connections in Lahore, Pakistan1)Personal Photograph. 2013. A stable and thriving Pakistan is the key to preserving harmony and facilitating progress in the broader South Asia region. Afghanistan, which is to the west of Pakistan, has a long border that divides the Pakhtun people between the countries. As a result of this border, Pakistan not only has a significant role in the Afghan economy, but instability in the loosely governed Pakistani frontier region spills across the border into Afghanistan. Because of this relationship, Pakistan has a direct impact on the outcome on the 13 year U.S. led war in Afghanistan. On the other hand, an unstable Pakistan would not only shatter budding trade relations with India, but could also spark conflict between the two nuclear armed rivals. From frequent attacks by Islamic militants across the country to a slowing economy, it is clear that there are many issues that threaten Pakistan’s stability. However, the most pressing issue that Pakistan faces today is its deteriorating economy. In particular, a crushing energy shortage across the country significantly constrains economic growth. This fiscal year, Pakistan’s Gross Domestic Product (GDP) is forecasted to grow by measly 3.4 percent.2)“Global Economic Prospects: Pakistan,” The World Bank, 2014. http://www.worldbank.org/en/publication/global-economic-prospects/regional-outlooks/sar. At the same time, the country’s population is expected to grow by 1.8 percent adding to the 189 million people living there today.3)Population Projection Tables by Country: Pakistan. The World Bank. 2014. If there aren’t jobs available for the millions of young Pakistanis entering the work force, not only will poverty increase, but there is a strong possibly that some of these youth could vent their frustrations by joining the countless Islamic militant groups active in the country. To build a more prosperous economy, Pakistan needs to address its energy problems. Without a reliable source of electricity or natural gas, how can Pakistani businesses compete on the global market? Large parts of the country today face blackouts lasting an average of 10 hours each day because of the electricity shortage.4)Ghumman, Khawar, “Increased loadshedding worries Prime Minister,” Dawn, April 24 2014. http://www.dawn.com/news/1102953. 5)“Electricity shortfall reaches 2,500MW,” The Nation, Jan 2 2014. http://www.nation.com.pk/national/02-Jan-2014/electricity-shortfall-reaches-2-500mw. The current gap between electricity generation and demand is roughly 2500 MW, a shortage large enough to keep a population of 20 million or the city of Karachi in the dark.6)Ibid. These power shortages are only expected to become worse in the coming summer months. This is because demand for electricity peaks in the sizzling heat, while hydroelectric generation decreases as the water flow in the rivers drops due to seasonal fluctuation. This article will focus on the causes of the country’s energy problems involving the electricity sector and explore possible directions Pakistan can take to improve its energy situation, building its economy in the process. How Does Pakistan Generate its Electricity? Figure 1: Pakistan’s Electricity Generation by Source7)“Pakistan Energy Yearbook,” Hydrocarbon Development Institute of Pakistan, 2012. http://www.kpkep.com/documents/Pakistan%20Energy%20Yearbook%202012.pdf. Figure 1 breaks down Pakistan’s electricity generation by source. Thermal power, which includes natural gas, oil, and coal generated electricity, accounts for 70 percent of Pakistan’s total electricity generation, while hydroelectric generation is roughly responsible for the remaining 30 percent. Electricity generated from furnace oil accounts for slightly over a third of Pakistan electricity. In the early 1990s, the country faced a power shortage of about 2000 MW when there was a peak load on the electricity grid.8)“Policy Framework and Package of Incentives for Private Sector Power Generation Projects in Pakistan,” Government of Pakistan, 1994. http://www.ppib.gov.pk/Power%20Policy%201994.pdf. To resolve the growing crisis, the Pakistani government implemented a new policy in 1994, which was designed to attract foreign investment in the power sector9)Beg, Fatima and Fahd Ali, “The History of Private Power in Pakistan,” Sustainable Development Policy Institute, 2007. http://www.sdpi.org/publications/files/A106-A.pdf. and as a result there was construction of oil based power plants. These power plants were cheaper and faster to construct compared to other electricity generation plants such as hydroelectric dams. At the same time, the relatively low prices (below $17 a barrel) of crude oil meant that these plants generated electricity fairly cheaply.10)“Crude Oil Purchase Price.” U.S. Energy Information Administration, 2014. http://www.eia.gov/dnav/pet/hist/LeafHandler.ashx?n=PET&s=F004056__3&f=M. Fast forward to present times, the price of crude oil has risen to hover roughly around $100 a barrel.11)Ibid. Unlike nearby Saudi Arabia, Pakistan is naturally not well endowed in crude oil reserves. This means that Pakistan must ship increasing amount of valuable currency abroad to secure the oil it needs to keeps these power plants running. Along with furnace oil power plants, natural gas is used to generate about another third of electricity; it is provided by domestic reserves, thereby helping Pakistan’s economy and energy security. According to the U.S. Energy Information Administration, Pakistan has proven natural gas reserves of 24 trillion cubic feet (Tcf) in 2012. These reserves will last Pakistan an estimated 17 years based on the country’s annual consumption rate of 1.382 Tcf in 2012.12)Pakistan. U.S. Energy Information Administration. http://www.eia.gov/countries/country-data.cfm?fips=pk At the same time, consumption rates are estimated to increase four fold to nearly 8 Tcf per year by the year 2020, further reducing the size of the domestic reserves.13)Tirmizi, Farooq, “The Myth of Pakistan’s infinite gas reserves,” The Express Tribune, Mar 14 2011. http://tribune.com.pk/story/132244/the-myth-of-pakistans-infinite-gas-reserves/. The Pakistani government in 2005 under President Pervez Musharraf promoted the conversion of cars to run on compressed natural gas (CNG) instead of gasoline.14)“Natural Gas Allocation and Management Policy,” Government of Pakistan: Ministry of Petroleum & Natural Resources, Sept 2005. http://www.ogra.org.pk/images/data/downloads/1389160019.pdf. The rationale was that this conversion would reduce the amount of money spent on purchasing and importing oil abroad. At the same time, CNG is cleaner for the environment than burning gasoline. As a result of this policy, more than 80 percent of Pakistan’s cars today run on CNG.15)Boone, Jon, “Pakistan’s government deflates dream of gas-powered cars,” The Guardian, Dec 25 2013. http://www.theguardian.com/world/2013/dec/25/cars-pakistan-compressed-natural-gas-rationing. But because of this surging demand for its limited natural gas, there is a critical shortage of it which has adversely impacted the country’s ability to use this fuel source to generate electricity. Essentially Pakistanis are forced to decide whether to use natural gas to fuel their cars, cook their food, or generate electricity. The reliance on oil and natural gas to generate electricity is incredibly inefficient, but these inefficiencies alone are not responsible for the crippling power shortages. The other source of tension involves the accumulation of circular debt in the electricity sector over the past few years. Circular debt is a situation where consumers, electricity producers and the government all owe each other money and are unable to pay. By June 2013 when the new government led by Prime Minister Nawaz Sharif took control, this circular debt had ballooned to $5 billion.16)Bhutta, Zafar, “Circular debt: Power sector liabilities may cross Rs1 trillion by 2014,” The Express Tribune, May 26 2013. http://tribune.com.pk/story/554370/circular-debt-power-sector-liabilities-may-cross-rs1-trillion-by-2014/. There are several reasons for the accumulation of this debt; the largest problem stems from power theft.17)Pakistan’s Energy Crisis: Power Politics. The Economist, May 21 2012.http://www.economist.com/blogs/banyan/2012/05/pakistan%E2%80%99s-energy-crisis. Many Pakistani elites and even parts of the government do not pay their electricity bills. The law and order situation also prevent power companies from collecting bills in certain parts of the country. As a result, Pakistani electricity companies currently recover only 76 percent of the money that electricity consumers owe them.18)Jamal, Nasir. “Amount of unpaid power bills increases to Rs286bn.” Dawn. Apr 16 2014. http://www.dawn.com/news/1100237. In fact, the Pakistani Minister for Water and Power, Mr. Khwaja Muhammad Asif, has acknowledged that the Pakistani government is one of the country’s largest defaulters of electricity bills.19)“Govt one of the biggest electricity defaulters, says Khawaja Asif.” Dawn, May 2 2014. http://www.dawn.com/news/1103707.As part of recent crackdown, the power ministry cut supplies to the Prime Minister’s home and the Parliament House (among many government offices) because they were delinquent on their electricity bills.20)“Pakistan cuts prime minister’s electricity for not paying bills” Reuters. Apr 29 2014. http://in.reuters.com/article/2014/04/29/uk-pakistan-electricity-idINKBN0DF1DL20140429. While many Pakistanis don’t pay their electricity bills, others steal power by illegally hooking into the power grid. This theft coupled with an inefficient electricity grid and the associated transmission loss means that Pakistan’s electricity generators are left with huge financial losses. The circular debt also makes it more difficult for power producers to invest in upgrading existing electricity infrastructure. If power producers don’t have the money to operate oil based power plants at full capacity, they certainly do not have enough capital to build newer, more efficient power plants. Even when the lights are on, the inefficient electricity system takes an additional toll on the country’s economy. Pakistanis today pay more than double their Indian neighbors for electricity (16.95 Pakistani Rupees vs. 7.36 Pakistani Rupees per KWh respectively),23)Electricity Shock: “Pakistanis Paying the Highest Tariffs in Region.” The Express Tribune, Jan 31 2014. http://tribune.com.pk/story/665548/electricity-shock-pakistanis-paying-highest-tariffs-in-region/. putting Pakistani firms at a further disadvantage compared to regional competitors. One of Prime Minister Nawaz Sharif’s first actions after taking office was to pay off the $5 billion in circular debt that had accumulated by July 2013.24)Chaudhry, Javed. “Circular Debt: ‘All dues will be cleared by July’.” The Express Tribune, June 14 2013. http://tribune.com.pk/story/563095/circular-debt-all-dues-will-be-cleared-by-july/. Unfortunately, this step alone will not solve the power woes as it does not fix the underlying causes of the country’s power crisis. In fact, the circular debt has accumulate again, and stood at $1.8 billion by January 2014. To sustainably address the power crisis, Pakistanis need to change their attitude towards power theft by forcing the government and those delinquent to clear outstanding bills. At the same time, Pakistan must improve the efficiency of its electricity sector as well as expand and diversify its electricity generating capacity in order to ensure that the country can handle the expected growth in demand over the coming years. Pakistan has tremendous potential to expand its electricity generating capacity by developing its renewable energy resources. At nearly 30 percent, hydroelectricity is already a major source of electricity generation, but according to the Pakistani government, this reflects only 13 percent of the total hydroelectric potential of the country.25)“Hydropower Resources of Pakistan.” Private Power and Infrastructure Board, Feb 2011. http://www.ppib.gov.pk/HYDRO.pdf. There are several drawbacks of major hydroelectric projects including that they are capital intensive and require extensive time to build. Furthermore, hydroelectric dams are harmful to the local ecosystem and can displace large populations. The U.S. government is actively investing in helping Pakistan develop its hydroelectric resources; in 2011, USAID funded the renovation of the Tarbela Dam.26)USAID Issues $6.66 m for Tarbela Units. Dawn. Mar 9 2011. http://www.dawn.com/news/612058/usaid-issues-666m-for-tarbela-units. In the process, this added generation capacity of 128 MW, which is enough electricity for 2 million Pakistanis.27)“Tarbela Dam Project.” USAID, Sept 26 2013. http://www.ppib.gov.pk/HYDRO.pdf. Figure 2: Pakistan’s Solar Generation Potential28)“Pakistan Resource Maps.” National Renewable Energy Laboratory, Aug 2006. http://www.nrel.gov/international/ra_pakistan.html. According to the USAID map of solar potential in Pakistan, the country has tremendous potential in harnessing the sun to generate electricity. Pakistan has an average daily insolation rate of 5.3 kWH/m2,29)The Feasibility of Renewable Energy in Pakistan, Triple Bottom-Line, 2012. http://www.tbl.com.pk/the-feasibility-of-renewable-energy-in-pakistan/. which is similar to the average daily insolation rate in Phoenix (5.38 kWH/m2) or Las Vegas (5.3 kWH/m2), which are some of the best locations in the United States for solar generated electricity.30)“Surface Meteorology and Solar Energy,” NASA, 2013. https://eosweb.larc.nasa.gov/sse/RETScreen/. So far, Pakistan has begun construction on a photovoltaic power plant in Punjab that will begin to produce 100 MW by the end of 2014.31)Quad-e-Azam Solar Power. http://www.qasolar.com/ According to the World Bank some 40,000 villages in Pakistan are not electrified.32)Renewable Energy in Pakistan: Opportunities and Challenges, COMSATS-Science Vision, December 2011. http://www.sciencevision.org.pk/BackIssues/Vol16_Vol17/02_Vol16_and_17_Renewable%20Energy%20in%20Pakistan_IrfanAfzalMirza.pdf. Tapping into these solar resources could easily electrify many of these off the grid villages, while avoiding an increase in demand on the national electricity grid. There is a large amount of coal located in the Thar Desert in the southeastern part of the country.40)“Pakistan’s Thar Coal Power Generation Potential.” Private Power and Infrastructure Board, July 2008.http://www.embassyofpakistanusa.org/forms/Thar%20Coal%20Power%20Generation.pdf. While the quality of the coal isn’t the best, Pakistan has a lot of it, nearly 175 billion tons,41)“Discovery Of Ignite Coal In Thar Desert.” Geological Survey of Pakistan, 2009. http://www.gsp.gov.pk/index.php?option=com_content&view=article&id=30:thar-coal&catid=1:data. which is enough to meet current electricity demands for more than 300 years.42)“Nawaz, Zardari launch Thar coal power project.” Dawn, Jan 31 2014. http://www.dawn.com/news/1084003. However, Pakistan currently only has one operational coal power plant. Pakistan is taking steps to develop this resource. In January 2014, Prime Minister Nawaz Sharif and former President Zardari broke ground on a $1.6 billion coal power project in the Thar Desert.43)Ibid. This particular project is expected to be operational by 2017.44)Ibid. Pakistan has taken some clear steps such as developing its renewable resources and tapping its coal reserves, which can help expand and diversify where and how it generates its electricity. Further harnessing these resources will help alleviate the electricity shortfall. However, these steps alone will not solve the energy crisis. The more difficult solution involves changing the country’s attitude toward power theft, both by private citizens and the government. Convincing people to pay their electricity bills is difficult when even the government itself doesn’t pay its fair share. At the same time, there is less incentive to pay when citizens don’t even have access to a dependable source of electricity when they need it. As long as this attitude is prevalent among Pakistanis from all walks of life as well as the government, the country cannot sustainably solve its energy woes. Circular debt will continue to accumulate and large sections of the country will face hours of darkness each day. Tackling the energy problem is the first step to strengthening the economy; over time, a growing economy will attract greater investment in the energy sector. Pakistan’s sensitive geographic location could become a strategic asset as it would serve as a bridge linking the economies of Afghanistan and Central Asia with the broader Indian subcontinent. Not only does the population provide Pakistan with a large domestic market, but it also empowers the country with a young, entrepreneurial workforce. This gives Pakistan tremendous potential, but can only be unleashed if the country figures out a way to keep the lights on and the factories humming. Ravi Patel is a student at Stanford University where he recently completed a B.S. in Biology and is currently pursuing an M.S. in Biology. He completed an honors thesis on developing greater Indo-Pakistan trade under Sec. William Perry at the Center for International Security and Cooperation (CISAC). Patel is the president of the Stanford U.S.-Russia Forum. He also founded the U.S.-Pakistan Partnership, a collaborative research program linking American and Pakistani university students. In the summer of 2012, Patel was a security scholar at the Federation of American Scientists. He also has extensive biomedical research experience focused on growing bone using mesenchymal stem cells through previous work at UCSF’s surgical research laboratory and Lawrence Berkeley National Laboratory. Nelson Zhao is a fourth year undergraduate at University of California, Davis pursuing degrees in economics and psychology. Nelson is the Vice-President at the Stanford U.S.-Russia Forum and the Program Director at the U.S.-Pakistan Partnership. At the U.S.-Pakistan Partnership, he aims to develop a platform to convene the brightest students in order to cultivate U.S.-Pakistan’s bilateral relations. 1. ↑ Personal Photograph. 2013. 2. ↑ “Global Economic Prospects: Pakistan,” The World Bank, 2014. http://www.worldbank.org/en/publication/global-economic-prospects/regional-outlooks/sar. 3. ↑ Population Projection Tables by Country: Pakistan. The World Bank. 2014. 4. ↑ Ghumman, Khawar, “Increased loadshedding worries Prime Minister,” Dawn, April 24 2014. http://www.dawn.com/news/1102953. 5. ↑ “Electricity shortfall reaches 2,500MW,” The Nation, Jan 2 2014. http://www.nation.com.pk/national/02-Jan-2014/electricity-shortfall-reaches-2-500mw. 7. ↑ “Pakistan Energy Yearbook,” Hydrocarbon Development Institute of Pakistan, 2012. http://www.kpkep.com/documents/Pakistan%20Energy%20Yearbook%202012.pdf. 8. ↑ “Policy Framework and Package of Incentives for Private Sector Power Generation Projects in Pakistan,” Government of Pakistan, 1994. http://www.ppib.gov.pk/Power%20Policy%201994.pdf. 9. ↑ Beg, Fatima and Fahd Ali, “The History of Private Power in Pakistan,” Sustainable Development Policy Institute, 2007. http://www.sdpi.org/publications/files/A106-A.pdf. 10. ↑ “Crude Oil Purchase Price.” U.S. Energy Information Administration, 2014. http://www.eia.gov/dnav/pet/hist/LeafHandler.ashx?n=PET&s=F004056__3&f=M. 13. ↑ Tirmizi, Farooq, “The Myth of Pakistan’s infinite gas reserves,” The Express Tribune, Mar 14 2011. http://tribune.com.pk/story/132244/the-myth-of-pakistans-infinite-gas-reserves/. 14. ↑ “Natural Gas Allocation and Management Policy,” Government of Pakistan: Ministry of Petroleum & Natural Resources, Sept 2005. http://www.ogra.org.pk/images/data/downloads/1389160019.pdf. 15. ↑ Boone, Jon, “Pakistan’s government deflates dream of gas-powered cars,” The Guardian, Dec 25 2013. http://www.theguardian.com/world/2013/dec/25/cars-pakistan-compressed-natural-gas-rationing. 16. ↑ Bhutta, Zafar, “Circular debt: Power sector liabilities may cross Rs1 trillion by 2014,” The Express Tribune, May 26 2013. http://tribune.com.pk/story/554370/circular-debt-power-sector-liabilities-may-cross-rs1-trillion-by-2014/. 17. ↑ Pakistan’s Energy Crisis: Power Politics. The Economist, May 21 2012.http://www.economist.com/blogs/banyan/2012/05/pakistan%E2%80%99s-energy-crisis. 18. ↑ Jamal, Nasir. “Amount of unpaid power bills increases to Rs286bn.” Dawn. Apr 16 2014. http://www.dawn.com/news/1100237. 19. ↑ “Govt one of the biggest electricity defaulters, says Khawaja Asif.” Dawn, May 2 2014. http://www.dawn.com/news/1103707. 20. ↑ “Pakistan cuts prime minister’s electricity for not paying bills” Reuters. Apr 29 2014. http://in.reuters.com/article/2014/04/29/uk-pakistan-electricity-idINKBN0DF1DL20140429. 21. ↑ Kazmi, Shabbir. “Pakistan’s Energy Crisis.” The Diplomat, Aug 31 2013. http://thediplomat.com/2013/08/pakistans-energy-crisis/. 23. ↑ Electricity Shock: “Pakistanis Paying the Highest Tariffs in Region.” The Express Tribune, Jan 31 2014. http://tribune.com.pk/story/665548/electricity-shock-pakistanis-paying-highest-tariffs-in-region/. 24. ↑ Chaudhry, Javed. “Circular Debt: ‘All dues will be cleared by July’.” The Express Tribune, June 14 2013. http://tribune.com.pk/story/563095/circular-debt-all-dues-will-be-cleared-by-july/. 25. ↑ “Hydropower Resources of Pakistan.” Private Power and Infrastructure Board, Feb 2011. http://www.ppib.gov.pk/HYDRO.pdf. 26. ↑ USAID Issues $6.66 m for Tarbela Units. Dawn. Mar 9 2011. http://www.dawn.com/news/612058/usaid-issues-666m-for-tarbela-units. 27. ↑ “Tarbela Dam Project.” USAID, Sept 26 2013. http://www.ppib.gov.pk/HYDRO.pdf. 28. ↑ “Pakistan Resource Maps.” National Renewable Energy Laboratory, Aug 2006. http://www.nrel.gov/international/ra_pakistan.html. 29. ↑ The Feasibility of Renewable Energy in Pakistan, Triple Bottom-Line, 2012. http://www.tbl.com.pk/the-feasibility-of-renewable-energy-in-pakistan/. 30. ↑ “Surface Meteorology and Solar Energy,” NASA, 2013. https://eosweb.larc.nasa.gov/sse/RETScreen/. 32. ↑ Renewable Energy in Pakistan: Opportunities and Challenges, COMSATS-Science Vision, December 2011. http://www.sciencevision.org.pk/BackIssues/Vol16_Vol17/02_Vol16_and_17_Renewable%20Energy%20in%20Pakistan_IrfanAfzalMirza.pdf. 34. ↑ CHASNUPP-2. Nuclear Threat Initiative, 2014. http://www.nti.org/facilities/113/. 35. ↑ KANUPP. Nuclear Threat Initiative, 2014. http://www.nti.org/facilities/111/. 36. ↑ Shah, Saeed. “Pakistan in Talks to Acquire 3 Nuclear Plants From China.” The Wall Street Journal, Jan 20 2014. http://online.wsj.com/news/articles/SB10001424052702304757004579332460821261146. 37. ↑ Mahr, Krista. “How Pakistan and China Are Strengthening Nuclear Ties.” Time, Dec 2 2013. http://world.time.com/2013/12/02/how-pakistan-and-china-are-strengthening-nuclear-ties/. 40. ↑ “Pakistan’s Thar Coal Power Generation Potential.” Private Power and Infrastructure Board, July 2008.http://www.embassyofpakistanusa.org/forms/Thar%20Coal%20Power%20Generation.pdf. 41. ↑ “Discovery Of Ignite Coal In Thar Desert.” Geological Survey of Pakistan, 2009. http://www.gsp.gov.pk/index.php?option=com_content&view=article&id=30:thar-coal&catid=1:data. 42. ↑ “Nawaz, Zardari launch Thar coal power project.” Dawn, Jan 31 2014. http://www.dawn.com/news/1084003. Previous years’ reports have been reviewed and made available by FAS (here, here, and here), and the new update contains several important developments – and some surprises. Click to view large version. Full briefing is here. China and North Korea are developing nuclear-capable cruise missiles, according to U.S. Air Force Global Strike Command (AFGSC). The new Chinese and North Korean systems appear on a slide in a Command Briefing that shows nuclear modernizations in eight of the world’s nine nuclear weapons states (Israel is not shown). The Chinese missile is the CJ-20 air-launched cruise missile for delivery by the H-6 bomber. 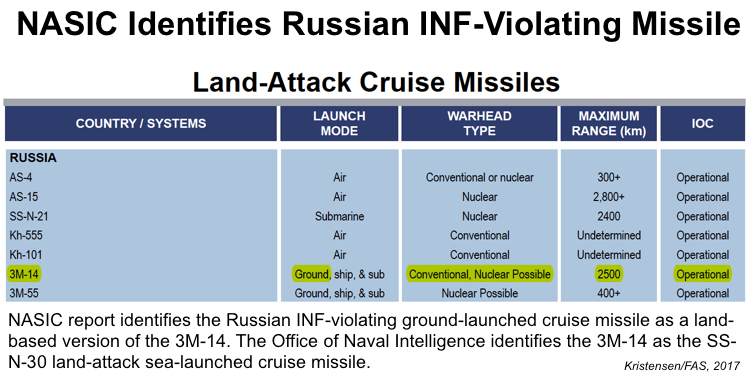 The North Korean missile is the KN-09 coastal-defense cruise missile. These weapons would, if for real, be important additions to the nuclear arsenals in Asia. 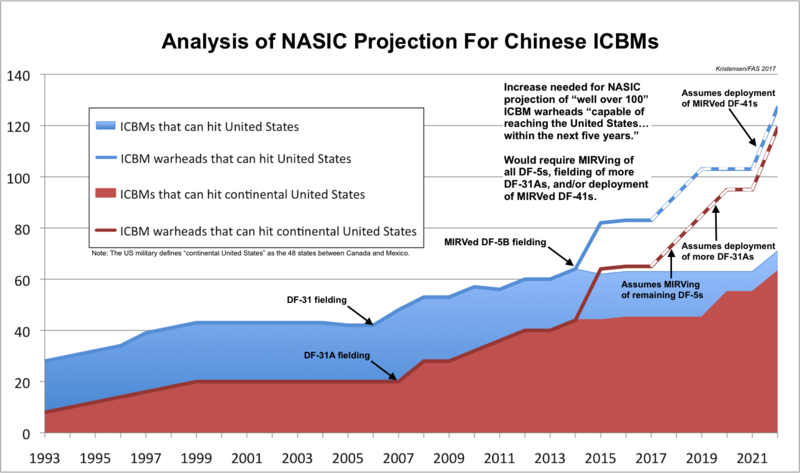 At the same time, a closer look at the characterization used for nuclear modernizations in the various countries shows generalizations, inconsistencies and mistakes that raise questions about the quality of the intelligence used for the briefing. Moreover, the omission from the slide of any U.S. and British modernizations is highly misleading and glosses over past, current, and planned modernizations in those countries. For some, the briefing is a sales pitch to get Congress to fund new U.S. nuclear weapons.